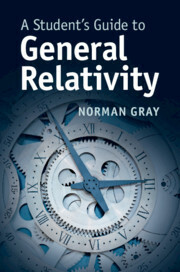 This compact guide presents the key features of general relativity, to support and supplement the presentation in mainstream, more comprehensive undergraduate textbooks, or as a re-cap of essentials for graduate students pursuing more advanced studies. It helps students plot a careful path to understanding the core ideas and basics of differential geometry, as applied to general relativity, without overwhelming them. While the guide doesn't shy away from necessary technicalities, it emphasises the essential simplicity of the main physical arguments. Presuming a familiarity with special relativity (with a brief account in an appendix), it describes how general covariance and the equivalence principle motivate Einstein's theory of gravitation. It then introduces differential geometry and the covariant derivative as the mathematical technology which allows us to understand Einstein's equations of general relativity. 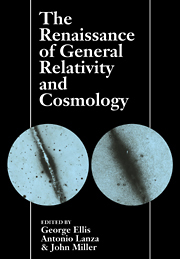 The book is supported by numerous worked exampled and problems, and important applications of general relativity are described in an appendix. Norman Gray is a research fellow at the School of Physics and Astronomy, University of Glasgow, where he has regularly taught the General Relativity honours course since 2002. He was educated at Edinburgh and Cambridge Universities, and completed his Ph.D. in particle theory at the UK's Open University. His current research relates to astronomical data management and he is an Editor of the journal Astronomy and Computing.